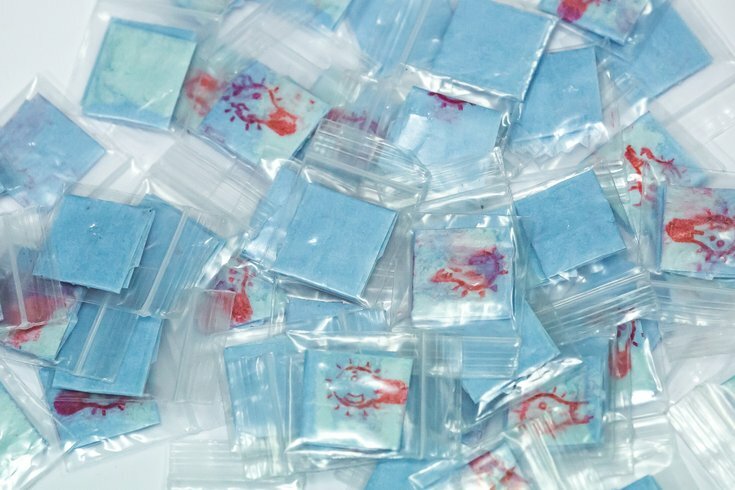 Heroin packaged to be sold on the street. Federal prosecutors have intervened in plans for a safe injection site in Philadelphia, filing a civil suit against the nonprofit organization seeking to open the facility. The lawsuit seeks to prevent the opening of the safe injection site, U.S. Attorney William M. McSwain announced Wednesday. Prosecutors from Pennsylvania and the Department of Justice in Washington filed suit against Safehouse and its executive director, Jeanette Bowles, alleging that the nonprofit's plans to open one or more so-called “consumption rooms” would violate federal law. The lawsuit is apparently the first of its kind in the United States, but federal authorities have threatened earlier to close down such safe injection sites. In August 2018, U.S. Deputy Attorney General Rod Rosenstein threatened legal action should the city move ahead with its plans. In response to the city's known opioid crisis, Safehouse announced last fall its intention to open a location for drug users to inject street-purchased heroin and fentanyl under the medical supervision of its own employees. In January 2018, a city Task Force to Combat the Opioid Epidemic provided a report with recommendations on the safe injection sites, called Comprehensive User Engagement Sites (CUES). They are walk-in medical intervention centers where essential services – including referral to treatment centers, supervised drug use, and access to sterile injection equipment as well as naloxone – are provided to reduce substance use, the harms associated with substance use, and fatal overdoses. Local officials also released a scientific review of studies of supervised injection facilities, which showed that these facilities reduce deaths from drug overdose, prevent the spread of infectious diseases, and help drug users get into treatment. The report estimates that one site in Philadelphia could prevent up to 76 deaths from drug overdose each year. In his announcement, McSwain said he is aware that community organizations play an important role in combating the opioid scourge. Safehouse’s proposed facility would violate the federal Controlled Substances Act, a comprehensive regulatory scheme enacted in 1970, federal prosecutors claim. The Act makes it a felony to maintain any place for the purpose of facilitating illicit drug use. According to the government, that is exactly what Safehouse plans to do.